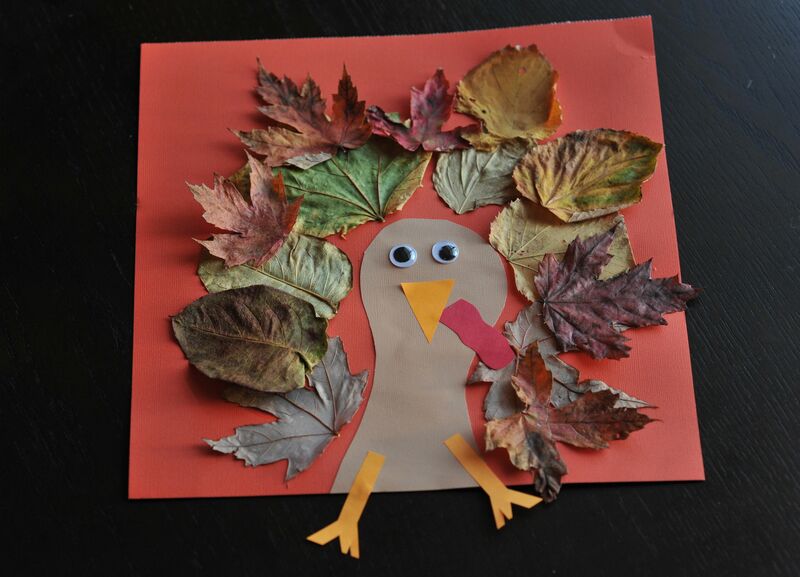 A couple days ago we went on a fall leaf hunt around the neighborhood… I wanted to make something that was different than the traditional rubbings, trees etc.. so I decided on a turkey… We are in the middle of a move so everything seems to take a little bit longer so I apologize if you Mommyapolis Face Book friends have been waiting for these pics… I’ve also found that I am quickly forgetting about October, so sorry if this is a little early for you! 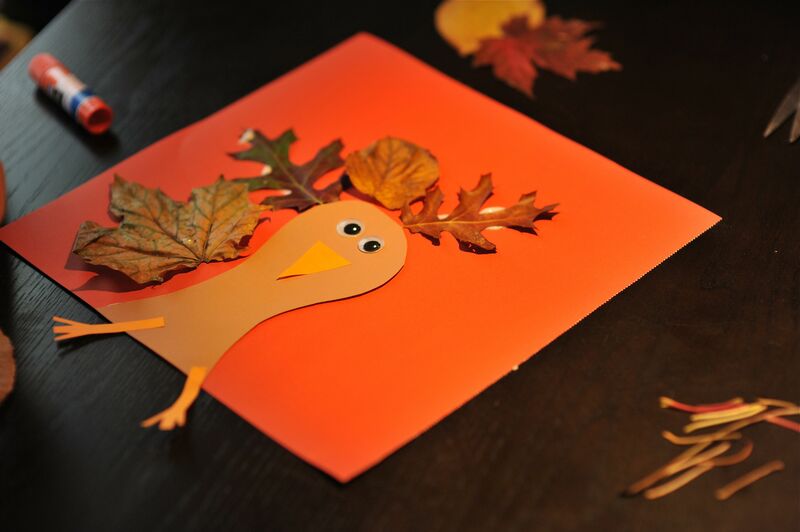 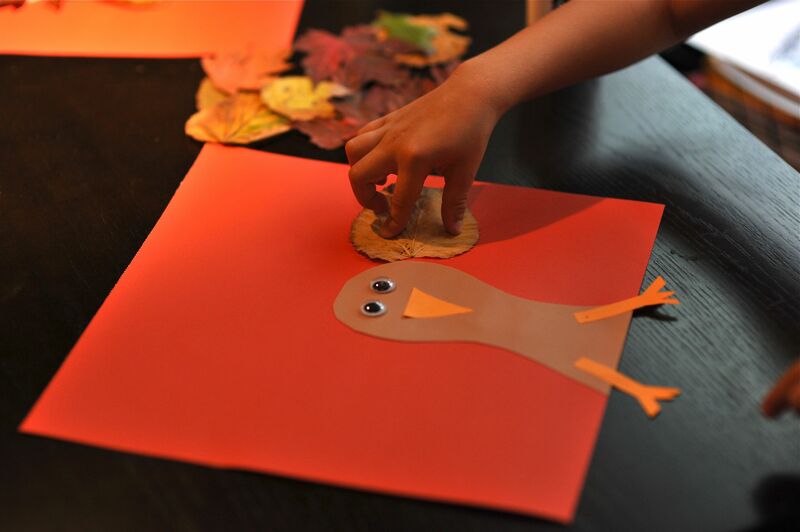 Save your leaves and make these in time for Thanksgiving… You’ll need construction paper in brown, orange and red… Colorful leaves, googley eyes and GLUE! 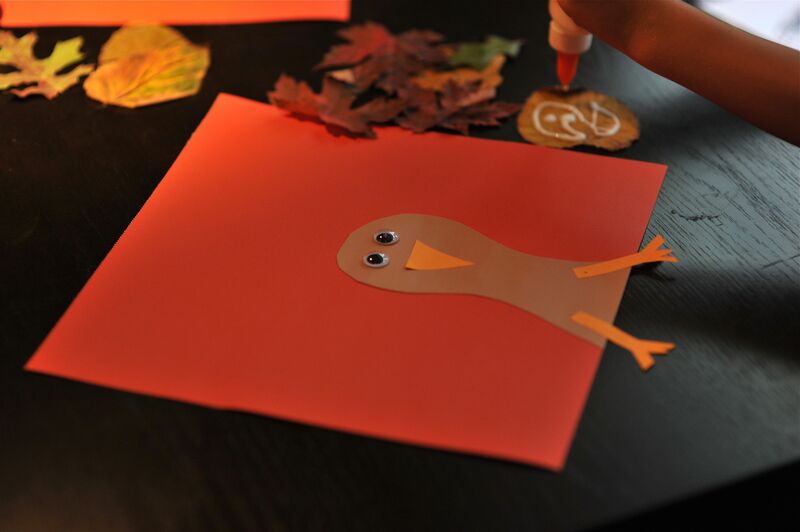 I did the paper parts the boys did everything else!